Hold/Still is a direction, a command and, without a doubt, a fitting title for Suuns' third record. 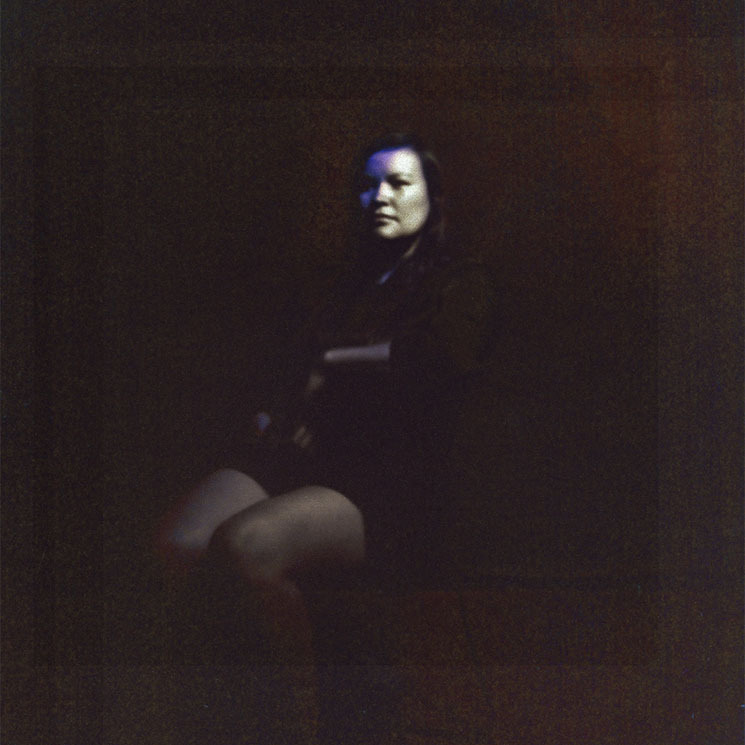 The album art photograph of a woman was captured by a pinhole camera, a device whose method demands the subject remain motionless. The album itself is engaging and captivating, commanding the listener's attention: Ben Shemie's vocals are almost wordlessly whispered (like the spicy "Pie IX" from debut Zeroes QC) and a little more direct, while the instrumentation is more focused, serpentine where it might have been meandering thanks in large part to John Congleton (St. Vincent, Angel Olsen, Sigur Rós). As they've proven on past recordings, the four-piece from Montreal are masters of approaching the boiling point of sound, nearing but never crossing the threshold, and it's this kind of perfectly anticipatory tease that they master on Hold/Still. The isolation of certain sonic nuances — the throbbing electronic elements, the softness that is disturbed by chaos, the unrelieved tension of it all, the controlled mania — makes this SUUNS' most detail-oriented offering, but it's also their darkest. Certainly, there have been shadows behind certain songs on the band's previous album (eerie "Edie's Dream" off of Images du Futur, for example), but Hold/Still amplifies the anxiety, in part because no song here adheres to conventional structure. "Resistance" features a slow build, a sonic cruise with Shemie's clear and increasingly more commanding (and borderline maddening) repetition of "resist" that is quickly swallowed whole by Max Henry's expert handling of the keys. "Translate," with doubled up guitar and a frantic Shemie, evoke a definite feeling of uncertainty, suggesting an end result but never attaining it — just dissolving into a steady run from Henry and drummer Liam O'Neill that hits the spot perfectly. The record has a spiritual bent, with lyrics influenced by religious text: "Look at the sky, I want to believe, I want to receive," Shemie croons on the wavering "Instrument" (featuring one of the most satisfying instrumental breaks Suuns have composed to date), while "Brainwash" — a softer song, until unexpectedly cacophonous drum hits knock you out — questions, "Do you know, all-knowing? / Do you see, all-seeing?" There are sexual themes here, too. The title of the sensual "Mortise and Tenon" references an antiquated woodworking joinery term (wink wink!) and the moans of Shemie and sneaking guitar of the deliciously creepy and disordered "Paralyzer" are both suggestive in their own way. Ultimately, Hold/Still feels like a true progression for Suuns — not a complete reinvention, but a distillation of what they do best. Moving in a decisively more electronic direction, Shemie and guitarist Joe Yarmush bend the limits of guitar music more than ever, never playing conventionally with a full or true chord, breathing a new, reinvented sound into the aging instrument. The pulsating "UN-NO," for example, whose title is a clever reworking of the word forget, could be considered this album's "2020," but with the guitar squealing and scaling down the neck rather than up. Meanwhile, keyboardist Henry shines, given full reign to add the ideal swell, thicken the pulse or add to the looming doom.